Courtenay Thompson DL greets Michael D Higgins, President of the Republic of Ireland on his arrival in Belfast, and Mrs Sabina Higgins. June 2016. 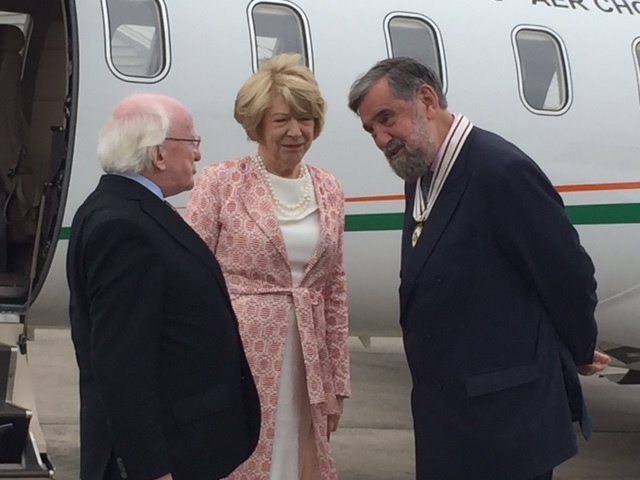 L-R : Michael D Higgins, President of the Republic of Ireland, Mrs Sabina Higgins and Mr Courtenay Thompson DL.